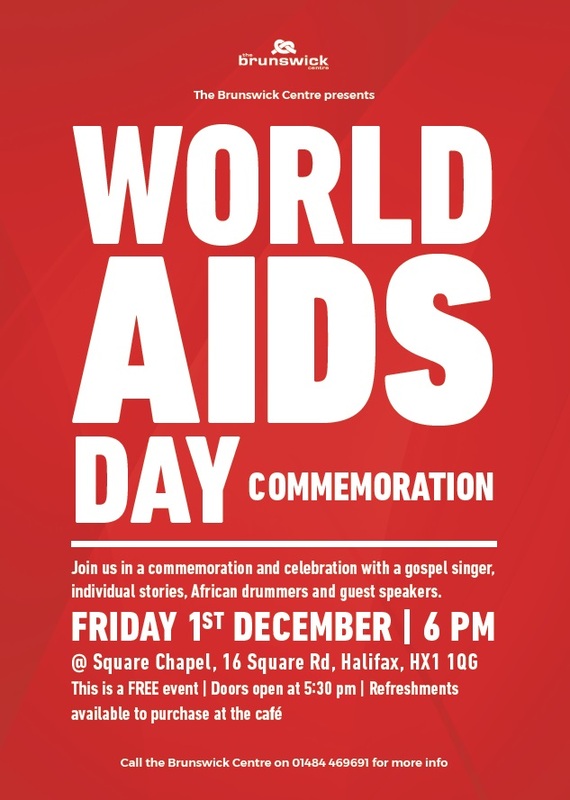 A reminder that World AIDS Day is December 1. This is a free event and starts at 6pm until 7:30pm approximately. Refreshments available to purchase from the café. Call the Brunswick Centre on 01422 341764 for more information.